If you have questions about any of the above items, please call me, Brian A. Raphan, Esq at 212-268-8200. There are additional measures available and your individual situation should be assessed before making any financial decision. Why should the elderly that aren’t as mobile as they used to be, or live in an assisted living facility or are even at home wheelchair bound, not have easy access to the same professional legal care as others? Well, they should. And now they do. Visiting Lawyer Services (VLS) is now available to New Yorkers that are homebound or unable to travel to a lawyer. With VLS our lawyers come to you. There’s no longer a need to coordinate aides, transfers or transportation as you won’t need it The same practice areas of elder law firm are the same available with VLS. Most of the services that we handle in our office can be handled at your place. For example; signing of your Will, Living Will, Health Care Proxy, revising a Will, Estate Planning, Medicaid Planning or setting up a Trust. If witnesses are needed for signing documents we also arrange them to be with us as well. Other family members or loved ones may be present as well. 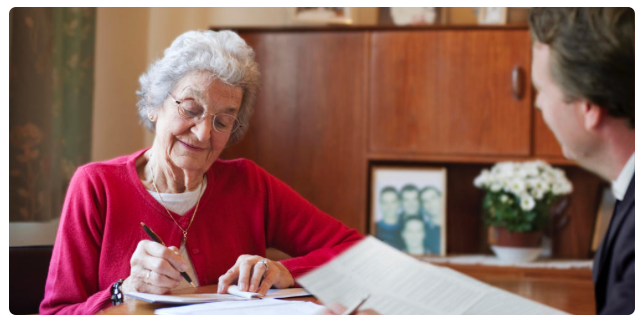 You remain in the comfort of your home, apartment or nursing facility and we’ll bring all the necessary documents. This has been very helpful for elder couples–as is often the case with elders, one spouse may be healthy and agile yet the other quite limited. Medicaid does not pay for the service you want. Medicaid residents are entitled to the same service as other residents. Only staff can determine the care you receive. Residents and family have the right to participate in developing a care plan. Staff cannot accommodate individual schedules. A nursing home must make reasonable adjustments to honor residents’ needs and preferences. You need to hire private help. A nursing home must provide all necessary care. Restraints are required to prevent the resident from wandering away. Restraints cannot be used for the nursing home’s convenience or as a form of discipline. Family visiting hours are restricted. Family members can visit at any time of day or night. Therapy must be discontinued because the resident is not progressing. Therapy may be appropriate even if resident is not progressing; Medicare may pay even without current progress. You must pay any amount set by the nursing home for extra charges. A nursing home may only require extra charges authorized in the admission agreement. The nursing home has no available space for residents or family members to meet. A nursing home must provide a private space for resident or family councils. The resident can be evicted because he or she is difficult or is refusing medical treatment. Being difficult or refusing treatment does not justify eviction. Wills and trusts each have their advantages and disadvantages. For example, a will allows you to name a guardian for children and to specify funeral arrangements, while a trust does not. On the other hand, a trust can be used to plan for disability or to provide savings on taxes. 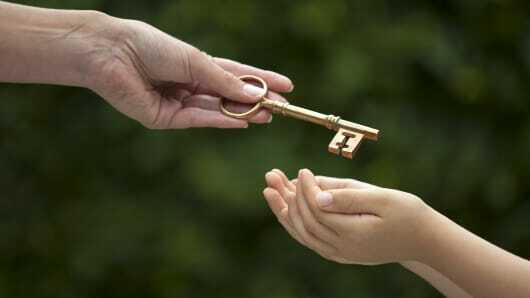 As your elder law attorney I can tell you how best to use a will and a trust in your estate plan. Feel free to email me with any questions. Regards, Brian A. Raphan, Esq.